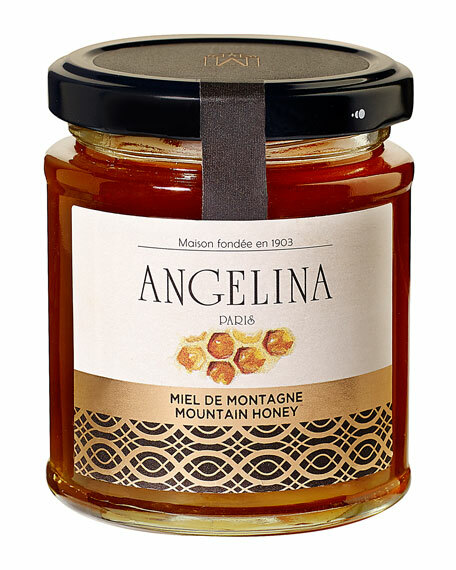 Angelina jar of mountain honey. No treatments before or after canning. About Angelina:In 1903, the confectioner Antoine Rumpelmayer founded Angelina, named after his daughter-in-law. For more than a century, the tearoom has been a landmark for gourmet Parisian sweets. The Angelina delicatessen range offers the possibility to bring home Angelina delicacies. For in-store inquiries, use sku #26108.